Many colors of poly available. As you can see the color is embedded in the product from the surface to the core. Because HDPE products are made with a single, purified polymer, they are manufactured to exacting, reproducible specifications such as common lumber dimensions. Poly has exceptional resistance to corrosive substances, oil and fuels, insects, fungi, salt spray, and other environmental stresses. They do not absorb moisture; therefore, they will not rot, splinter, or crack. HDPE products have excellent weathering resistance. These products require no water proofing, painting, staining, or similar maintenance when used in many exterior applications. Besides keeping plastic bottles from taking up space in landfills for hundreds of years there other benefits to creating outdoor furniture from poly? It is resistant to corrosive substances, oil and fuels, insects, and salt sprays; since plastic does not absorb moisture, furniture made from poly will not rot, splinter, or crack. A solution of 1/3 bleach and 2/3 water removes any fungi build up. It is well built and constructed. The poly lumber will last a lifetime. It comes in a large variety of colors, such as white, sand, green, black, teak, and mahogany. So you are sure to find something that suits your personality and taste. Another great characteristic of poly-lumber furniture is that it does not fade. 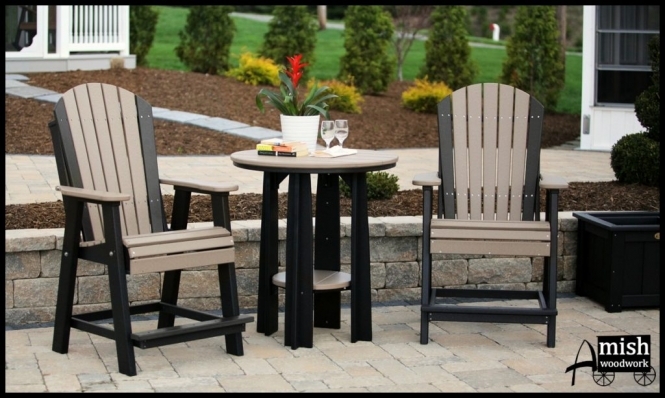 Poly chairs have more weight than cheap, plastic ones so they will not blow away in strong winds. Can I power wash my poly furniture? A high pressure power washer may be used for regular maintenance to keep your furniture looking like new. Pressure should not exceed 1,500 psi, which is the equivalent of a car wash. The surface characteristics of the product may require the use of a soft bristle brush to get into the creases. 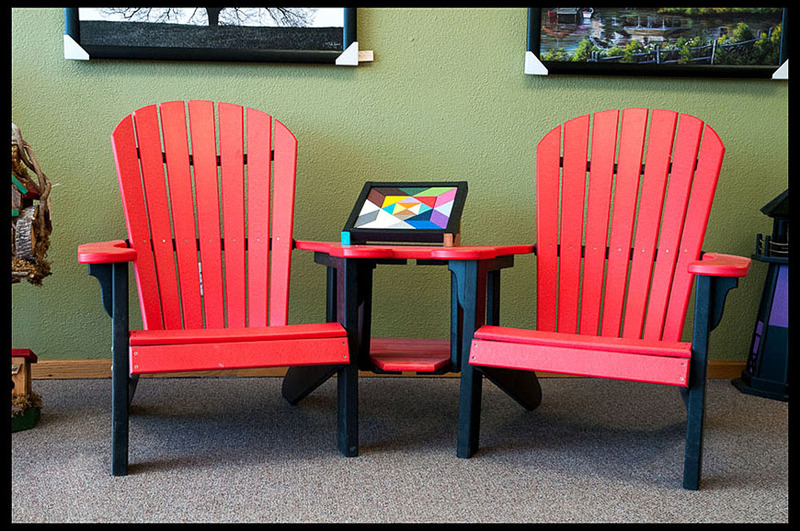 Amish Woodwork carries a large selection of poly furniture in a wide variety of colors. Stop by and see what we can do for you! © 2019 Amish Woodwork|ProPhoto theme by NetRivet, Inc.